It's time to celebrate SPRING!! Are you ready for spring? Wow, I sure am! The last bits of snow won't last long, even if they do fall. It's time to celebrate SPRING!! My daughter and I made this Spring Quiche and it is delicious! 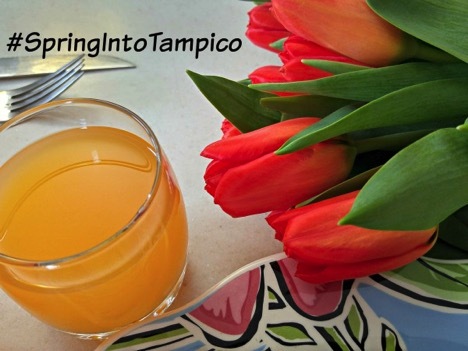 Add a salad, some fruit, and a glass of Tampico Punch and you can dream of sunshine and tulips instead of snowflakes. Have you ever made a quiche? It's actually very easy. And you can make it ahead of time and then just warm up for breakfast. Or serve with a salad and fruit for a beautiful lunch. Quiche even makes a delicious, light dinner. 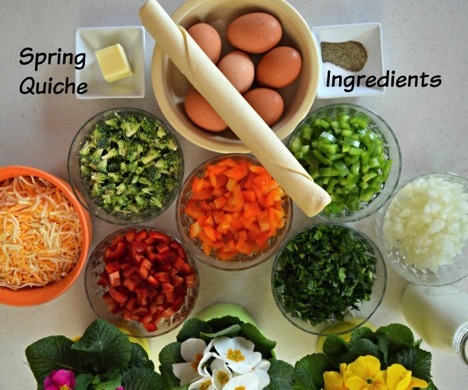 This particular quiche recipe is perfect for spring because it is bursting with fresh vegetables. 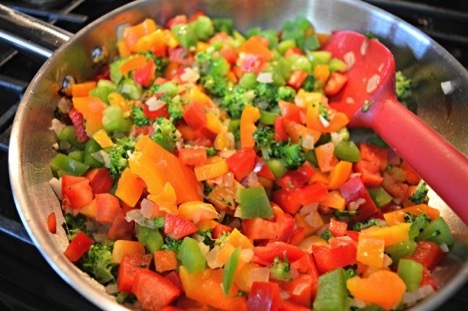 Mmmm, peppers, onions, broccoli and spinach tantalize your taste buds while they add vibrant color. 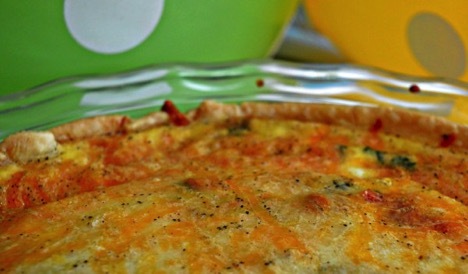 Spring Quiche would make a delicious appearance on Easter morning! 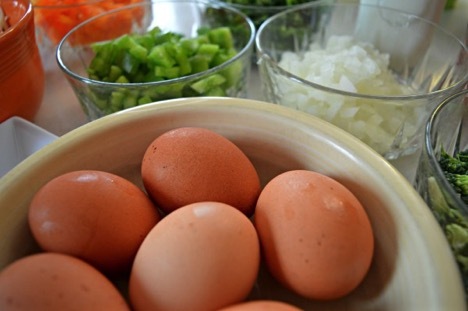 Do you have Easter family traditions? Easter is always special in our house. We have an Easter basket for my daughter (bunny footprints lead the way!). The Easter bunny hides eggs and we enjoy re-hiding and re-searching for them all day long. Our family enjoys a delicious breakfast in our pajamas before we don our Easter "outfits". Always something new, always something fresh for spring. Then church and out to brunch! It's a fun day especially if the weather cooperates. Directions: Preheat oven to 350 degrees. In a skillet, melt butter on medium heat, add finely chopped onions. Stir constantly. When onions start becoming transparent, add broccoli florets. When broccoli changes color to darker, richer green, add peppers. Continue stirring and cook until peppers are tender. When you cook with so many vegetables, they have a tendency to be wet, so be sure to cook down sufficiently to eliminate as much water as possible. At the last minute, add the chopped spinach. The spinach will wilt quickly and again, cook down to eliminate moisture. 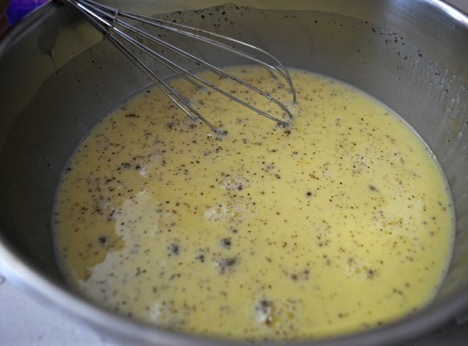 In a large bowl, beat eggs with a wisk, adding milk, and spices. Unroll pie crust and place in 9-inch pie pan. Add vegetables evenly. 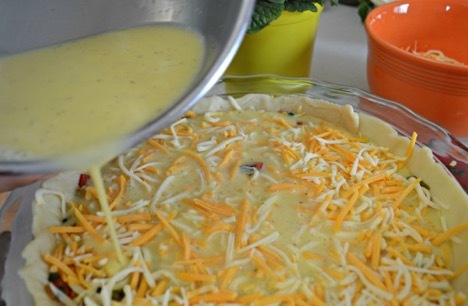 Sprinkle cheese on top of vegetables then pour egg mixture, filling the pie crust. Bake at 350 degrees for 1 hour. Let sit for 15 minutes before slicing. 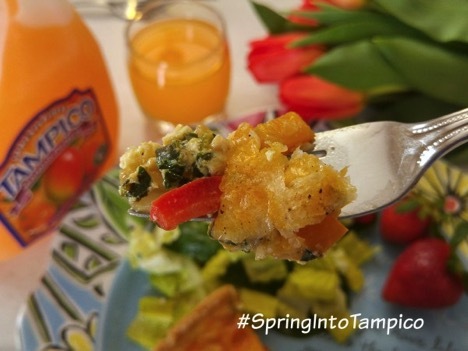 Serve with salad, fruit and Tampico punch. 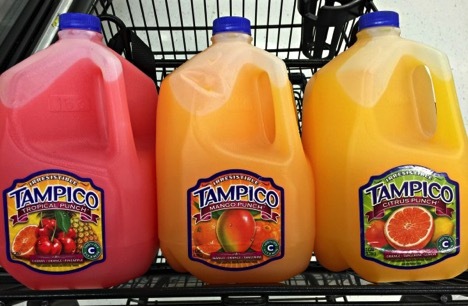 Tampico is currently sold in over 55 countries and keeps growing both in existing markets and by expanding to new markets. 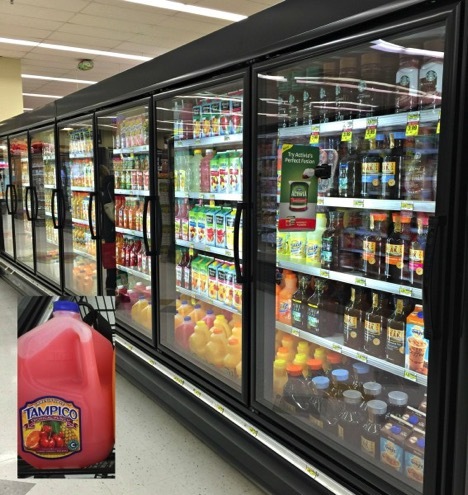 It comes in many flavor varieties. Pick up a few and celebrate SPRING! Adios, winter! 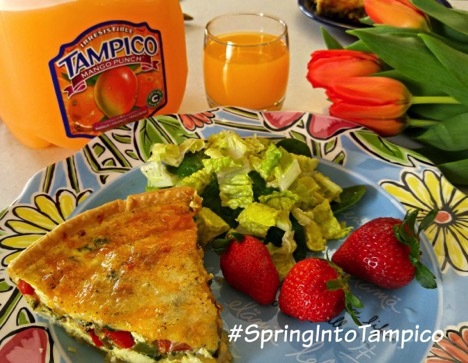 How can Tampico help you celebrate Spring? !